For all the cell phone lover, there's a great news as Blackberry has again arrived with a all new phone- Blackberry Storm2 9520. As repeating the history, Blackberry has once gain developed a phone to catch the hearts of the cell phone user. The phone has ultimate feature with a very alluring design to attract the viewer. It has a 3.25" piezo-electric display with a screen resolution of 360 X 480 and 65k colours. The dimensions measures 112.5 x62.2 x 14 with 160 gms in weight. It has a TFT capacitive touchscreen , with a Full QWERTY keyboard and Auto – rotate track pad and accelerometer sensor.It has 2 MP camera which enables user to capture the moment up to 2048x1536 pixels along with auto focus It has excellent in built Mp3 and MP4 music player. These run in MP3/WMA/AAC and MP4/H.264/H.263/WMV formats. It has an inbuilt memory of 2 GB and a card slot micro SD which can be extended to 16 GB. The all new Blackberry Storm2 9520 supports 2G network which is in the configuration of GSM 850 / 900 / 1800 / 1900 and 3G network HSDPA 2100. It has in built HTML browser, GPS system and the java features gives the facility of MP3/AAC/AAC /WMA player,DivX/XviD/MPEG4/WMV player, Blackberry maps ,Organizer and Voice dial. 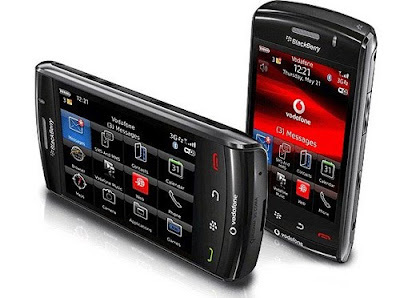 Blackberry Storm2 9520 price is justifiable at approximately Rs. 32,590.